Time is marching increasingly quickly for the e-cigarette industry. Recently we saw a major e-cigarette company completely disappear with no explanation, and there have been rumblings that the FDA in the United States and other regulatory agencies in Europe are preparing to propose laws that will affect the variety, availability and price of e-cigarette products. In the meantime, e-cigarette companies are doing what they can to improve their products, prepare for the new regulations that might be coming and establish themselves as dominant players stable enough to weather the coming storm. Volcano’s original Lavatube e-cigarette was a groundbreaking device that redefined the level of performance that e-smokers could expect from affordable e-cigarettes. The Lavatube didn’t win any beauty contests, but it offered such a compelling blend of price and performance that I couldn’t help but give it an extremely high recommendation. A year later, Volcano is back with the Lavatube 2. Volcano has given its flagship e-cigarette a complete makeover and increased its performance a bit in an effort to attract new customers as well as owners of the previous Lavatube. The Lavatube 2 is also priced quite a bit higher than its forebearer. Is it still a must-have e-cigarette? I’m going to lay it on the line in my Lavatube 2 review. View the Lavatube 2 at the Volcano website or shop in Europe. 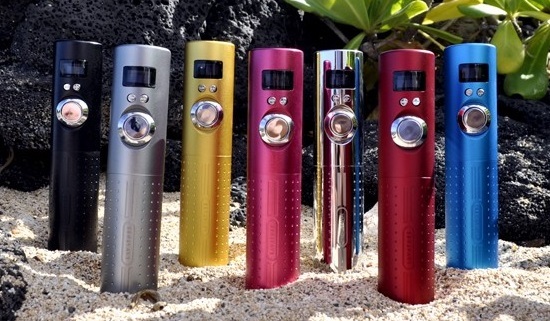 The Lavatube 2 costs $139.99 and ships anywhere in the United States for free. When it was first released, the Lavatube e-cigarette was a bit of an eye-opener. While most e-cigarette companies were in the business of buying off-the-shelf e-cigarettes from manufacturers in China and repackaging them for sale in the United States and elsewhere, Volcano got the idea to design a new version of an expensive niche product — the variable-voltage e-cigarette mod — and mass-produce it in China. This enabled Volcano to sell the Lavatube kit for less than half of what other e-cigarette vendors were charging for products with similar performance. Chinese intellectual property laws being what they are, though, it didn’t take long for other manufacturers to begin selling Lavatube clones obtained from various sources — sometimes even under the Lavatube name. Although I’m not privy to the legal wrangling that must have ensued, a bit of Googling seems to indicate that Volcano chose to work with a different manufacturer when designing the Lavatube 2. So, what are the high points of the Lavatube Version 2? It has a completely new design, but if you’re an owner of the original Lavatube, you can save a bit of money by buying the Lavatube 2 body only; it’s compatible with your existing batteries, charger and attachments. Volcano also changed the safety features of the Lavatube 2, giving it an over-current limit of 3.0 amps rather than the 2.5 amp limit of the old Lavatube. Finally, Volcano added the ability to check the resistance of the connected atomizer or cartomizer — a good thing for people with large collections of e-cigarette accessories. 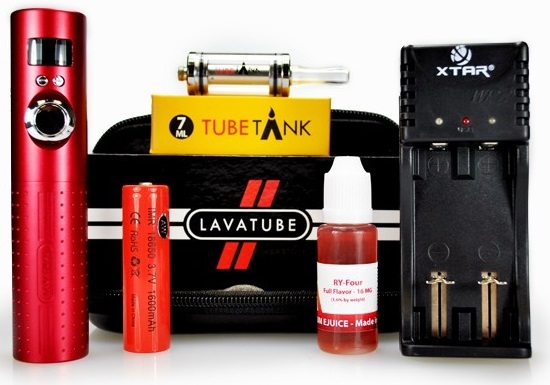 However, since the Lavatube 2 automatically lowers the voltage if you accidentally set it too high for the connected attachment, there’s really no chance of breaking it by using an incorrect setting. Essentially, there are two types of people who might consider buying the Lavatube 2. You’re most likely either shopping for your first variable-voltage e-cigarette, or you’ve an owner of the original Lavatube and want to know if the Lavatube 2 is a worthwhile upgrade. I’ll try to address both concerns in this review. I’ll also give a brief comparison of the Lavatube 2 vs. the ProVari. If you’ve never used a variable-voltage e-cigarette before, you should know that the Lavatube 2 isn’t a device for newbies. I really think that the best e-cigarette for a beginner is one that allows you to simply screw on a cartridge and go. If that sounds like you, read my recommendation here. If you’ve been down that road and you’re ready to start trying different attachments and voltage levels, the Lavatube 2 is a good choice because it’s the only affordable e-cigarette that can be taken all the way up to six volts. Many other variable-voltage e-cigarettes only go up to five volts, and I can tell you from experience that the difference between five and six volts is a pretty big one. I really can’t strongly suggest any five volt device. The fact that the Lavatube 2 is extremely user-friendly is a strong selling point. The fire button is large and comfortable to use, and the separate adjustment buttons make it possible to raise and lower the voltage without going through a menu system. 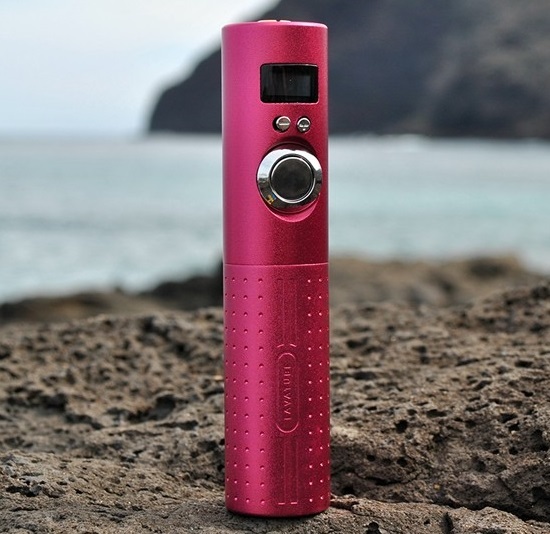 The ProVari, by contrast, has a minimal design in which all of the functions are performed with one button. Although it certainly looks nice, it can be a bit of a hassle if you’re in the habit of changing voltage settings frequently. The Lavatube 2 forgets your previous voltage setting when you remove the battery, but changing the voltage takes just seconds. When you use an e-cigarette at six volts for the first time, it’s fair to say that you’ll feel like you’re discovering your favorite e-liquid all over again. Between the increased vapor production and the stronger, more prominent flavors, you might find yourself stepping down a notch from your normal nicotine strength. When I first bought the original Lavatube, I promptly went from 16 mg to 8 mg e-liquids. Likewise, if you aren’t getting the level of intensity you want from your current e-liquid, you’ll get it with the Lavatube 2. If you’re an owner of the original Lavatube, you should know that the Lavatube 2 shares the original Lavatube’s problem of decreasing vapor production at high voltages after you’ve used about half of the battery’s charge. This issue is improved with the Lavatube 2, but you’ll definitely notice it if you use the device at six volts every day. You can get around this by buying an extra battery, which I strongly recommend. Note that although Volcano sells a 3000 mAh battery for the Lavatube 2, I suggest buying the 2000 mAh AW battery instead. The AW battery will give you better overall life if you’re a frequent high-voltage e-smoker. Performance-wise, the biggest difference between the Lavatube 2 and the ProVari is the fact that the ProVari — which admittedly costs quite a bit more — doesn’t decrease in vapor production at all throughout the life of the battery. If you’re alright with switching batteries a little more often, the Lavatube 2 is a perfectly acceptable substitute with nearly equal performance. Airflow is the second area in which the Lavatube 2 differs from the original Lavatube. While the original Lavatube had a very free draw with every attachment I tried, the draw is a bit tight on the Lavatube 2 with certain attachments such as basic 510 cartomizers. It’s as if the air vents in the Lavatube 2 weren’t cut quite deeply enough. So, if you’re a fan of the 510 cartomizers, you might want to try the Lavatube 2 before you buy if possible. Most people probably won’t notice a difference, though. I believe that most e-smokers will consider the Lavatube 2 the greatest e-cigarette they have ever purchased. Although Volcano has raised the price a bit from that of the original Lavatube, the Lavatube 2 looks much nicer and uses better components. The Lavatube 2 is also much closer in quality and performance to the ProVari, which still costs a great deal more. If you like Boge cartomizers, try before you buy if possible. For almost everyone else, buying the Lavatube 2 is a no-brainer.